You must make bookings at least 5 minutes in advance of the time at Pure Indian Cooking. Parking available outside the restaurant on Single yellow line after 7.00 pm in the evening. 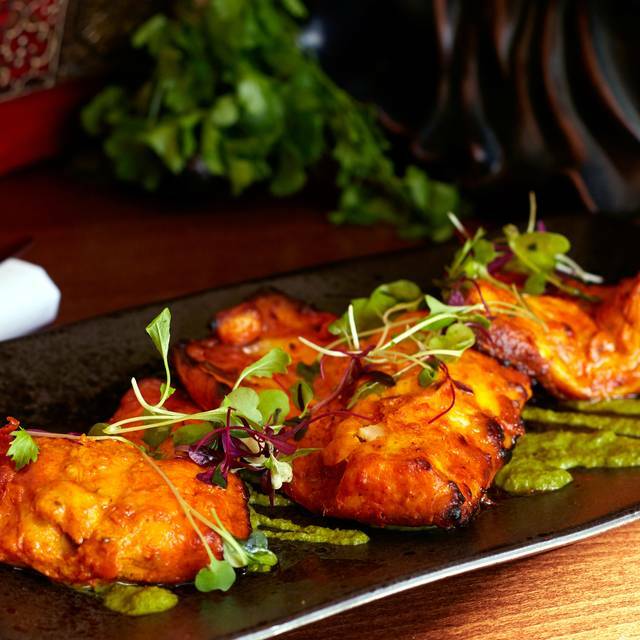 PURE Indian cooking prides itself in being a family run restaurant and one with impeccable credentials. 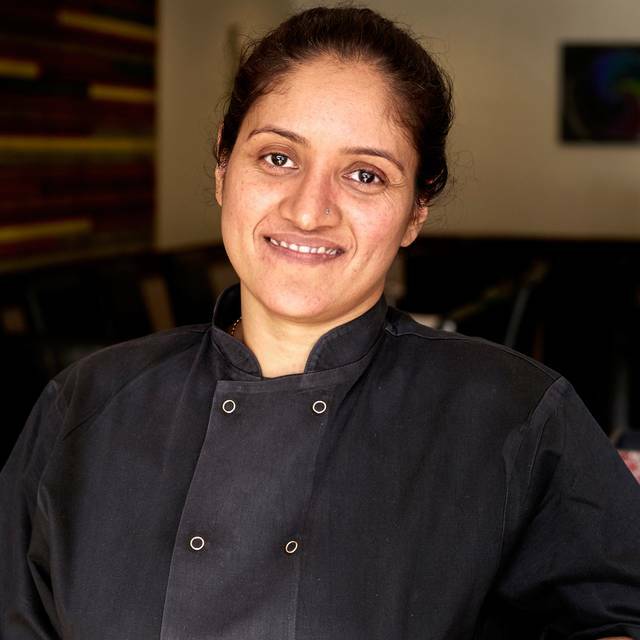 Owned by the husband and wife team of Faheem Vanoo and Shilpa Dandekar, both of whom started their careers with the famed Taj group in India, PURE Indian Cooking opened in 2015. 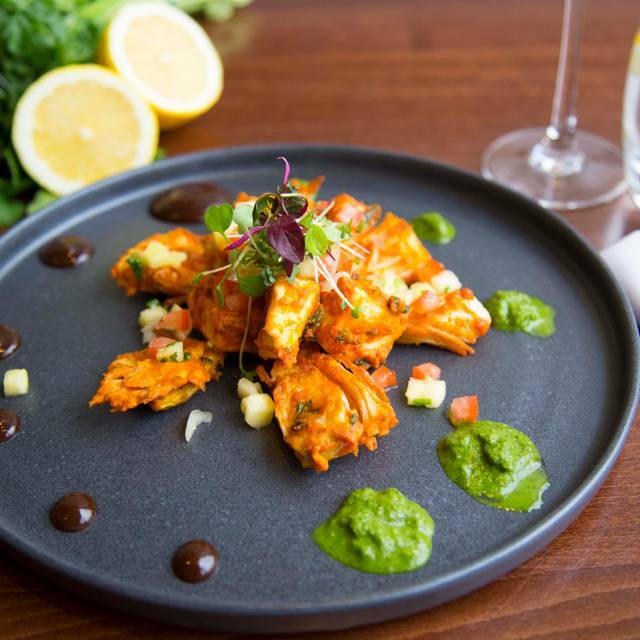 We would be delighted to see you at PURE Indian Cooking so please come and share in our warmth, fabulous food and drink and wonderful hospitality. We were recommended to Pure Indian by a friend who said she was sure we would like it. We were delighted with the excellent food and nice atmosphere. Highly recommended! The server was lovely and the food was unique ! We have been dining here since it’s opening and love it. Exceptional food and very friendly service. Delighted to see that many people obviously share our opinion. Much deserved success. Absolutely fantastic experience! 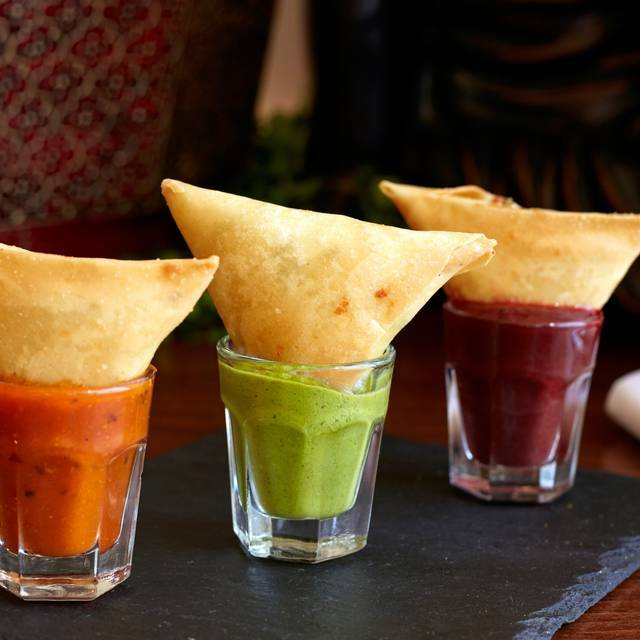 Modern Indian cuisine at its finest. Highly recommended. Had a wonderful birthday dinner in Our Indian the other day and we had a fabulous time!! The food is wonderful and the staff working there are an absolute delight! Looking forward to returning very soon!! Fantastic food and service with a good wine list. Try the Tandoori Sea Bass with Yellow Dahl along with some nan bread - absolutely delicious. I'm looking forward to the special tasting menu next week. If your tastebuds need educating in the way of contemporary, delicious and innovate Indian cooking then make your way to Pure. 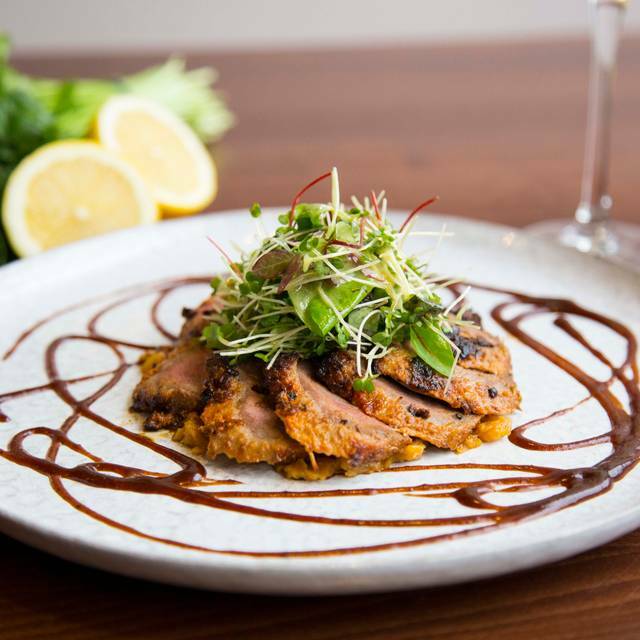 The staff are knowledgeable and attentive without being intrusive and the menu is delightful. I've eaten my way through the menu over the past 4 years and have never been disappointed. My particular favourites are Prawn Masala, The Sea Bass, The Sharing Board, Lamb Sukke, Saag, Scallops with fresh stawberries and rhubard chutney, (Delicious) Chilli Squid, Mangolorean Chicken, Tandoori Duck the baked yoghurt..... among others! Can't wait to sample their tasting menu they're holding in March. We’ve been here now two times and have just loved it. Different foods than normal and the flavor combinations really work well. Highly recommended! Delicious food that tastes really interesting (not your bog standard curry), lovely service. Fantastic food - one of the best curries I have had for a long time - family run - highly recommended - thank you for a great evening ! Fantastic food and amazing service. Shall return for sure and highly recommended restaurant . A lovely restaurant with great tasting food and a delicious menu. Will certainly be returning to try out the rest of the menu! Service was excellent, as was the knowledge and the hospitality of the staff who clearly take pride in what they do and rightly so. Fantastic food. Best Indian food I’ve had in London. On a rainy Saturday evening , we made our way to the quite conveniently located Pure Indian Cooking restaurant. What a delightful surprise ! We were warmly greeted and the concept of the menu ( lighter, more unusual dishes prepared by an award winning chef ) carefully explained to us. My wife and I enjoyed a smashing street food pre starter, evoking the spirit of Mumbai and then sampled several unusual dishes, including a stand out treat in the fish ( Halibut ) curry. Finished with a shared plate of desserts including a lovely ensemble of nuts with almond , set off by a cherry compote and ice cream. Drank Cobra throughout and with service, we were inside £90. Went for a family meal. Food is definitely very good. The distinctive flavour of the various spices used comes through rather well albeit the chilli has been dumbed down to appeal to the local palette - being an Indian I would have preferred a little more heat although not too much more. The location slightly lets down the restaurant, feels more like a local Putney diner than a upscale restaurant. The service was also rather slow. Would definitely go again though for the food. This is the best Indian restaurant I’ve ever eaten in (and I’ve done a huge amount of research!). Wow wow Wow!! An excellent meal in a popular restaurant. Helpful staff and delicious food. 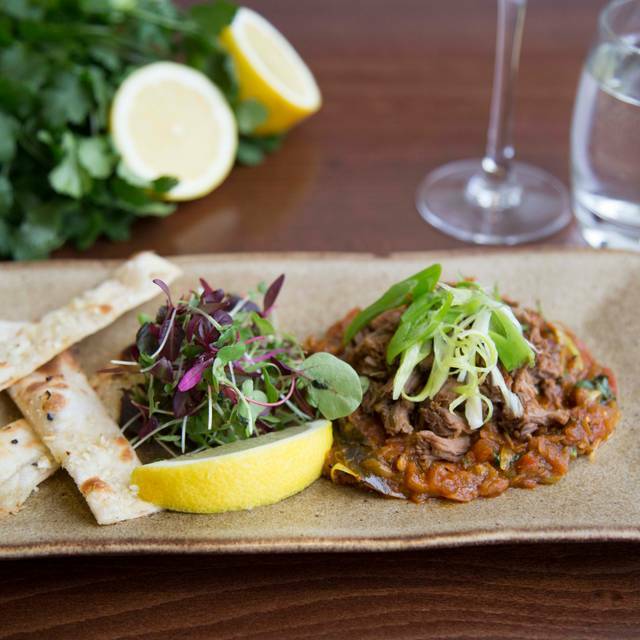 Delicious, modern, light Indian cuisine. 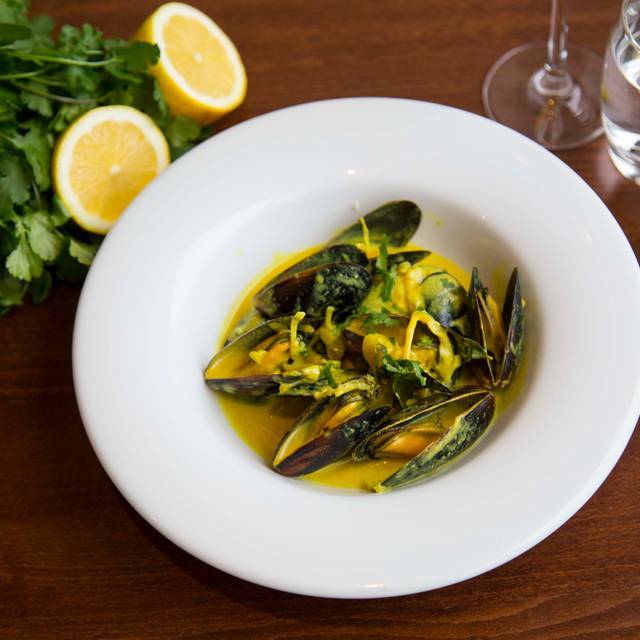 Redolent with beautifully balanced spices, flavours and textures. Very warm and attentive service. A lovely and tasty evening. A great menu, with a very talented owner chef in the kitchen. Very subtle Indian cooking with a lot of attention paid to the quality of the ingredients and the blend of spices. We have eaten here several times and the standard is excellent. Excellent food and service. One of our party was held up for 50 mins (Virgin Trains!) and the staff were very helpful in keeping the table. Unusual dishes on the menu too. My family really enjoyed our dinner at Pure on Thursday evening. The food was very tasty and freshly cooked. Looking forward to eating at Pure again, when next in Fulham in the New Year. It was our first visit and we looking forward to a good India. Food was fresh, tidy and tastie. Contemporary enough without losing authenticity. Venue was clean with good decor and lighting. Excellent food and very friendly service. Will definitely be returning. Excellent quality Indian food, nicely presented and served. Very tasty authentic Indian food. Service is excellent. 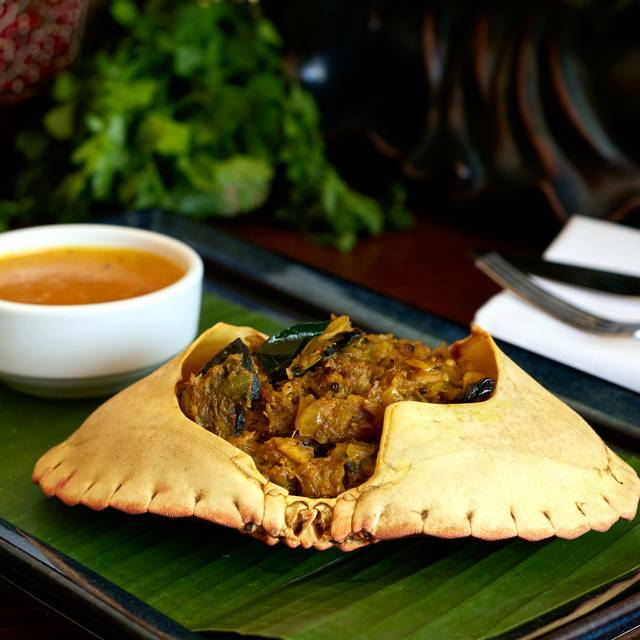 Pure Indian Cooking continues to deliver and improve with innovative and interesting dishes. They tailor made vegan dishes especially for a family birthday celebration, so that we could all enjoy a lovely meal with interesting and tasty food to suit meat eaters, vegetarian and vegan choices. There were also 'mock-tails' which tasted and looked great and were much enjoyed. The attention to detail and time and care given to the preparation and presentation of the food here is obvious and really raises the food to another level. Quality is paramount and everything is well balanced and full of flavour. I absolutely recommend this restaurant. Fabulous food, beautiful presentation, slightly slow service, charming attentive staff. Sounds divine and I can't wait to sample it! The Food was Great! Also the wine was very good. Interior is al litlle pover. Not very cosy. The food, wine en service was Great! We were there after my son's graduation. The atmosphere was great and the food was delicious. I will definitely come back. An excellent and incredibly tasty variety of options. Quiet enough to be able to carry out a conversation normally but not so quiet as to feel awkward. Outstanding service. Highly recommend this gem. The food was really excellent. Modern indian cuisine, very tasty, nicely presented. Good value for money. The service was friendly and attentive. I can really recommend this restaurant! What a wonderful dinner! Our waiter gave good recommendations and we ended up sharing three appetizers, a main dish and a dessert, which was plenty of food. It's obvious that this is a family business that the family members take great pride in. Highly recommended!